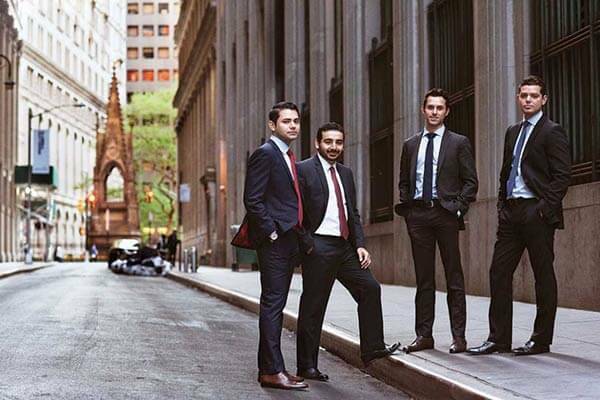 A Wall Street work week is not your typical work week. It means long hours — 70 to 90 per week — in a fast-paced and competitive atmosphere. But there are St. Mary’s University graduates whose educational foundation and drive prepared them to thrive in this pressure-cooker environment, holding their own alongside graduates from top-tier schools. Albert Cruz (B.B.A. ’06) first heard about Sponsors for Educational Opportunity (SEO) Career in 2005 when researching summer internship opportunities. One of the nation’s top summer internship programs, SEO provides talented minority students internships on Wall Street. After graduating with International Business and Corporate Finance degrees, he spent more than three years at UBS Investment Bank, but he wanted to do more. It was time for a career change. Cruz joined SEO as a recruiting manager in 2011, recruiting students in Texas, California and North Carolina, but with a special focus on St. Mary’s. The San Antonio native’s work has helped make St. Mary’s known as a place to find and recruit savvy interns. Now the assistant director, he continues to focus on improving SEO’s recruitment efforts and building relationships with firms on Wall Street. Cruz isn’t the only Rattler walking the eight blocks of Wall Street. Brothers Alfonso and Rick Diaz share an interest in the financial world. For Alfonso (B.B.A. ’07), the oldest, all it took was an on-campus SEO seminar to discover the opportunities available. Alfonso began SEO’s Investment Banking Career Internship Program in summer 2006 and worked at Citigroup in New York as an intern analyst. “I decided by the end of the summer that my skills, personality and passion for markets were best suited for a role in securities sales and trading,” he said. Alfonso returned to St. Mary’s to finish his senior year and, just two weeks after graduation, moved to New York City to start at Goldman Sachs. Alfonso also helped his brother Rick (B.B.A. ’09) navigate a similar career path, which started in 2008 as an intern on the trading desk at Lehman Brothers. “Getting a foot in the door is half the battle in breaking into an investment bank,” said Rick, who’s now an associate on the credit-trading desk at AQR Capital Management. Matt Sisneros (B.B.A. ’12) has been going strong on Wall Street for four years. While his initial postgraduate plans included law school, it was an introduction to business taught by Visiting Assistant Marketing Professor Guillermo Martinez, J.D., that had Sisneros change paths. Sisneros applied to SEO as a sophomore. After a year on the waiting list, he earned a 10-week internship with J.P. Morgan, which offered him a full-time job afterward. Alfonso Diaz echoed those statements. With a 75 percent full-time job offer rate and a strong support system from SEO alumni and St. Mary’s faculty and staff, more than 20 St. Mary’s students have been SEO Career interns since 2006.